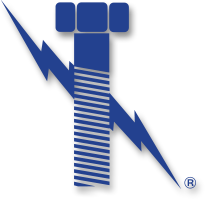 Hastelloy fasteners are IN-STOCK at Lightning Bolt and are very resistant to acid and are often mispelled as hastalloy fasteners. Hastelloy fasteners has outstanding resistance to corrosion and to both oxidizing and reducing chemicals. Due to adaptability, hastelloy can be applied in problem zones are more probable to occur in process zones. Hastelloy bolts and fasteners are suitable for most chemical applications in the as-welded condition. However, it should be noted that in environments where attack of the C-276 alloy weld joint is experienced, C-22 weld filler materials should be considered. What has made the alloy popular is that hastelloy C-276 alloy has excellent resistance to a wide variety of chemical process environments, including strong oxidizers such as ferric and cupric chlorides, hot contaminated media (organic and inorganic), chlorine, formic and acetic acids, acetic anhydride, and seawater and brine solutions. It is often used in flue gas desulfurization systems because of its excellent resistance to sulfur compounds and chloride ions encountered in most scrubbers. C-276 alloy has excellent resistance to pitting and to stress-corrosion cracking. It is also one of the few materials that with stands the corrosive effects of wet chlorine gas, hypochlorite, and chlorine dioxide.
. C-276 alloy can actually be forged, hot-upset, and impact extruded. Although the alloy tends to work-harden, it can also be successfully deep-drawn, spun, press formed or punched.